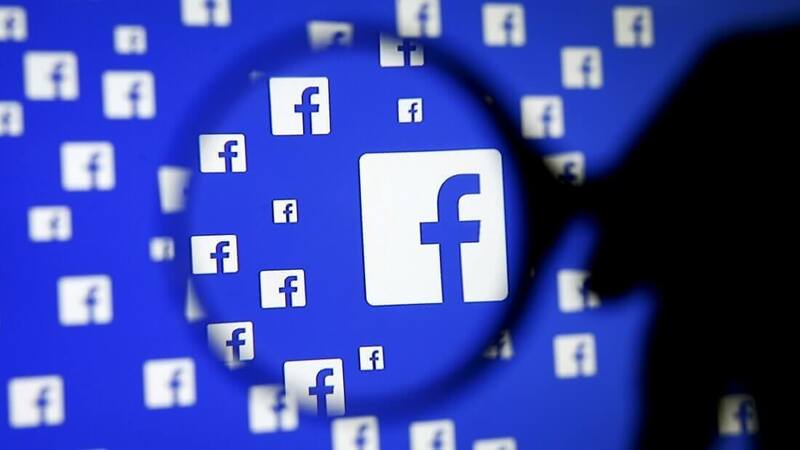 However, Facebook has been aiming to speed up the process by working behind-the-scenes on "new technology" that uses the power of machine learning to identify "potentially false" content automatically. The AI does not make any final decisions for itself, though. Instead, it passes it on to one of the previously-mentioned fact checkers for review. 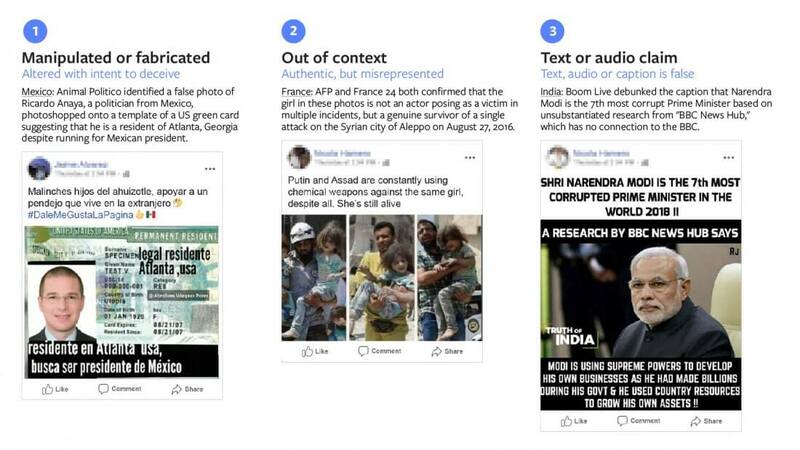 To handle the soon-to-be-increased workload, Facebook has promised to expand its fact-checking programs for photos and videos to 17 countries around the world, bringing on new partners along the way. So, how does Facebook's new system work? The company's content-flagging AI uses "engagement signals" (most likely shares, comments, likes, or direct feedback) to find content that could be exaggerated or misleading. Once it does that, fact-checkers will use "visual verification techniques" (such as reverse image searches) and general research strategies to come to a conclusion about the content's accuracy. Facebook says that the sources fact-checkers use are trustworthy, so they probably won't be relying on Wikipedia for their information. Waits for comments... *whine whine* but that's censorship! How will we elect another celebrity dummy president after this one is gone? I enjoy actual fake news and am afraid fact-checking websites are one-sided even though every one of them gives you the details of their findings. The problem is that both Republicans and Democrats have their own set of facts they run on. Whatever organization is running the fact checking software gets to choose who checks facts. There are unbiased fact checkers online, but let's be frank here, Facebook is heavily liberal biased. Me, I'm about to give up on "facts" to go live in a cabin in the woods with a dog. thews86, Reehahs and psycros like this. Republicans think everything but Fox news in liberal biased. In reality it is fox news that is conservative biased, everyone else lives in reality. Link one video where Trump states a numerical fact since his presidency. It amazes me that in an age of near-magical levels of technology people still want to believe their ideology is sacred and infallible. The only guides you need are common sense and an understanding of human nature. These SJWs who cry and march over non-issues are so empty inside that they have to manufacture false outrage to give their lives meaning. At least the doomsday preppers on the other side of the spectrum understand that survival itself is a noble pursuit. When you realize that about 75% of the population cares about *nothing* but their immediate family and personal comfort you will view the world with far greater clarity. Take away the grocery stores and restaurants for a week and you'll find out how much the political system really matters. Our society maintains an illusion of choice solely to placate the masses. The day that no longer suffices the storm troopers will be patrolling the streets and randomly kicking in doors the way they do outside the West. Six companies control ALL major media in the western world. Four major agribusiness conglomerates control virtually ALL food distribution. Look at any sector of the economy and the story is the same. Then look at who sits on the boards of all the biggest multinationals. Over and over its the same elite cadre of business and political leaders who continually travel through the revolving door between the public and private sector (and often have a foot in both - conflict of interest be damned). The "truth" is whatever these megalomaniacs need it to be in order to expand their control. 99% of fake news is created by these ruling elites as a distraction. Its all about keeping us at each other's throats while the financiers and politicians laugh all the way to the banks they control. If this all sounds very cynical and depressing, you're absolutely right. If I had known years ago how I would feel once I learned the truth I would have gladly remained ignorant. senketsu, yRaz and Reehahs like this. "President Trump won the election against Hillary's illegal private email server"
I didn't realize Trump had an election against a server. Interesting. So in the end, I'd turn your comment back on you and say "come out of your safe Fox News space" and listen to... every news station ever that agrees with all the other news stations. Stop listening to just one and form your own opinions for once. ok all and all this took me less then 5 minutes, gl with Trump.